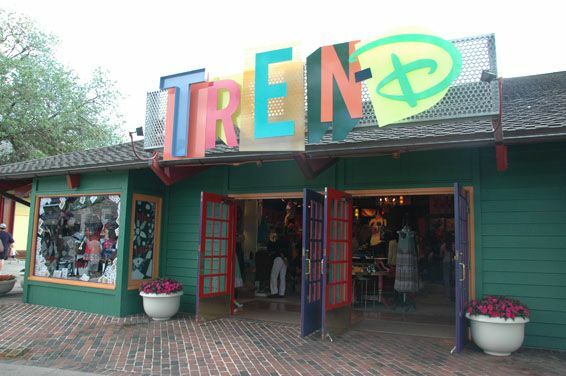 Tren-D opened today in Downtown Disney at Walt Disney World. 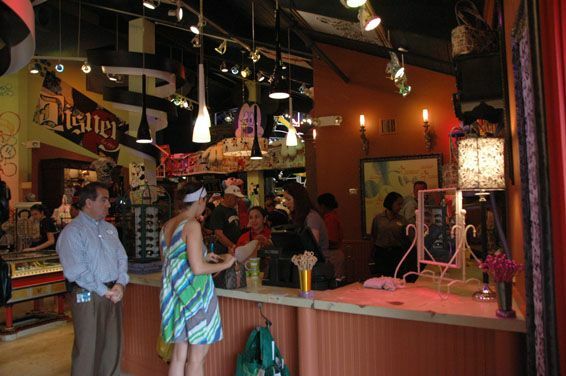 This new store replaces Summer Sands, it is located next to Team Disney. You can stroll from one shop into the other. I expected your typical tourist shop filled with Disney World merchandise. I was pleasantly surprised when I checked out this store today. They had designers like Roxy, Kidada Jones, Tarina Tarantino. 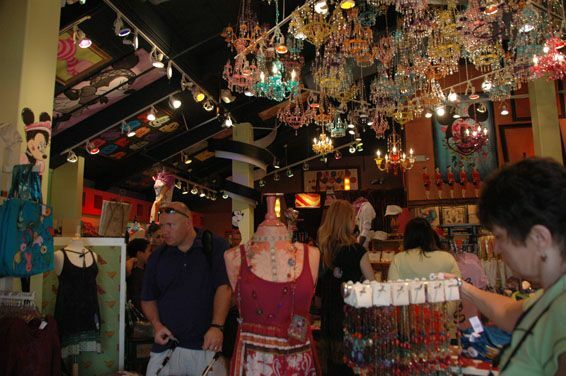 The merchandise they sell here can’t be found in any other store at Walt Disney World. I never thought of myself as trendy but I found a lot of great stuff here. I can’t wait to go back and pick up some gifts for friends. 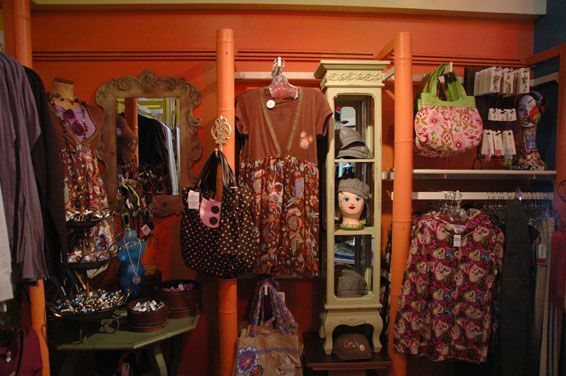 If you are looking for something a little different be sure you check out this store. They had lots of great jewelry, handbags, lingerie, t shirts. 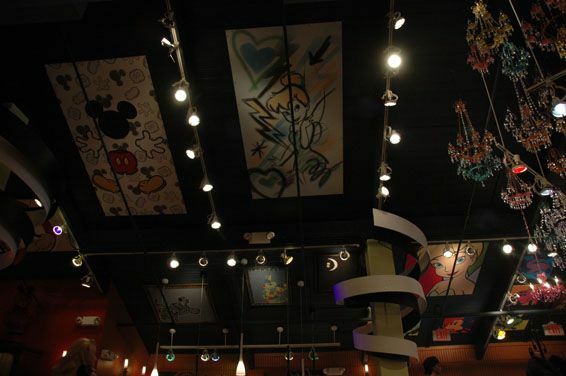 I also enjoyed how they decorated the place. 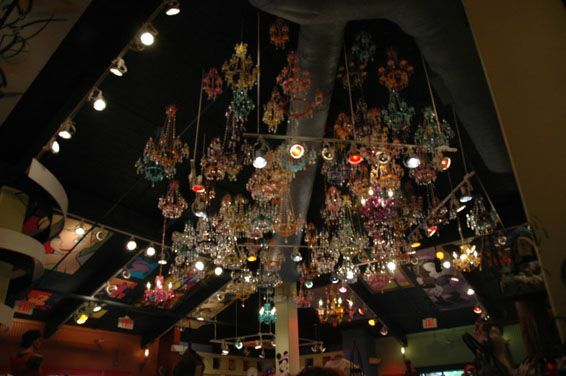 Be sure to look up at the ceiling with all the chandeliers and paintings. 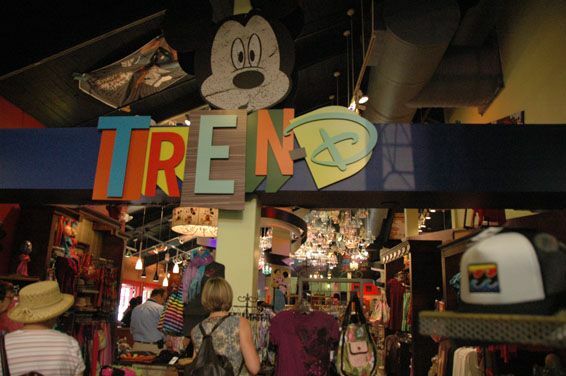 I predict this will be a popular store in Downtown Disney.